In today’s world, business owners face more responsibility than ever when it comes to securing their property and keeping their employees safe. Whether you own a small business or a Fortune 500 company, access control is one of the most popular – and effective – types of security. Access control, as the name suggests, controls who has access to certain areas and when that access is granted. 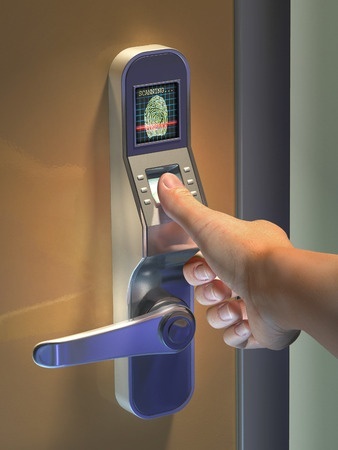 With an access control system, you can track employee and visitor activity. The benefits of access control systems are numerous, and they’ve become a popular choice for businesses of all sizes. Like any security system, access control systems have numerous options, and choosing the right one can be tricky for someone who lacks in-depth knowledge. Here are a few tips to help you get the most benefits for your money when investing in an access control system in Denver for your business. There is always a chance that your business could grow, resulting in a larger space or additional employees. When shopping for an access control system, keep this in mind, and choose a system that you can expand upon later. An expandable system may cost a bit more upfront, but you’ll save a considerable amount of money when compared to the cost of starting all over from scratch as your security needs grow. Restricting physical access to certain areas is obviously important, but business owners often forget about the importance of restricting access to computer networks and private documents. Identity theft and hacking is prevalent, so your computers need to be protected. Computer network access restricting programs are easy to install and can prevent major headaches. Does your business have just one entry point for all employees, or are there several access points that need to be restricted? Before you invest in an access control system, take a careful inventory of all the restrictions you’ll need. Many businesses need multiple levels of access restriction, and it’s much easier to purchase a system that completely meets your needs in the beginning than to try to upgrade later. Talking with a security professional is one of the best ways to truly evaluate your needs and determine the access control system that will best suit your business. At Colorado Security Products, we have helped countless Denver-area businesses with their security needs, and we would be more than happy to help you create a unique solution for your business. If you’re thinking about investing in access control in Denver or the surrounding area, contact us today to discuss your options. Call 303-756-1000.